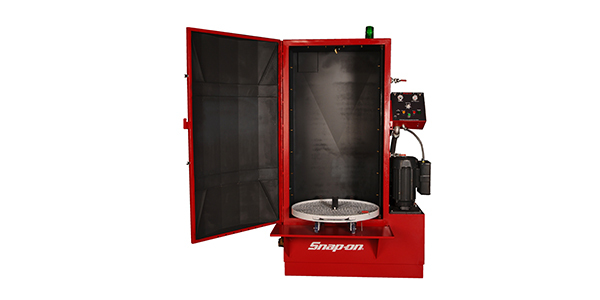 The new Snap-on PBC58 Heavy-Duty Automatic Parts Washer can be used to effectively clean many large automotive parts such as gas and diesel engine blocks, cylinder heads, valve covers, pans, transmission cases, as well as smaller items down to nuts and bolts. 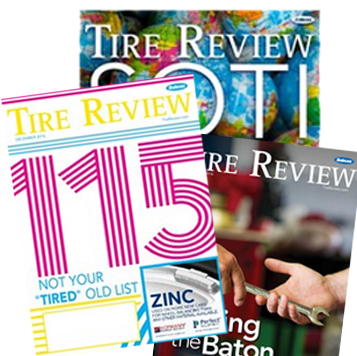 It can be used in a variety of shops and industries, including automotive and diesel shops, marine and powersports dealers, and manufacturing, aviation, agriculture, metal fabrication, industrial trade and technical schools. The PBC58 automatically cleans parts using a biodegradable aqueous soap concentrate (YADW896B) that heats to 45 PSI and sprays from 24 high-pressure nozzles at 42 GPM. Its five RPM turntable is driven by a No. 40 roller chain for rotation without slippage, and it pulls out 18 in. for easier part loading. Both the sprocket drive and turntable motor have dual-sealed bearing shafts for longevity and strength. The washer can accommodate a load capacity up to 1,000 lbs., and its cycle time can be adjusted from zero to 60 minutes. An integral oil skimmer and pump reservoir filter is included to remove oil and grease and a double intake filtration system traps sludge with a perforated steel screen filter.